Yup, just what the world needed, another browser. Yeah, I agree with what you wrote about the data harvesting. Big Bro ends up knowing all anyway. Pix: I'm always happy to hear from you! Don't know if it's Gecko based....maybe Geico based? Haha...another skin idea! 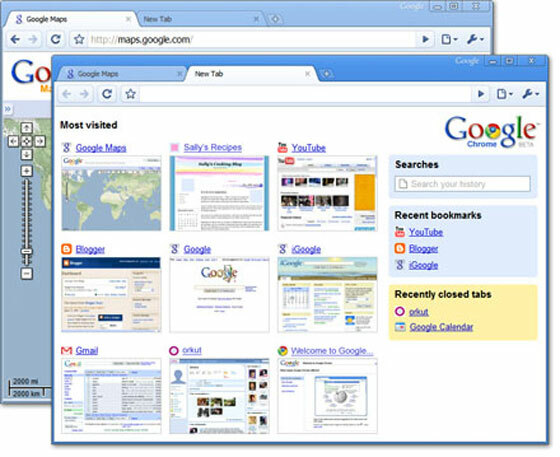 Maybe someone who can make WB skins might be able to make a completely Google-ish OS skin The whole browser UI is very cool, all blue and Aero-ish [Without the M$ transparency]. and Bugs Bunny's: "Myehhhh.....You realize, of course, this means war!"